1. How badly it's been done. 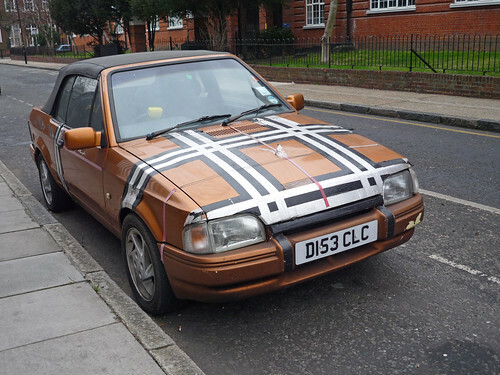 Who thought to themselves... "I can make my car look reet good with some black and silver gaffer tape!" 2. The steering wheel lock. They've also thought... "Now that I've made my car look reet good, loads of people are gonna wanna steal it! Better get a steering wheel lock."